Posted March 19, 2019 by Technidock, Inc. Whether commercial or residential, it is essential to understand the difference between floating and stationary docks before you can best select what fits your specific needs. Floating docks are constructed and placed over large airtight float drums that will allow it to float on the surface of the water. 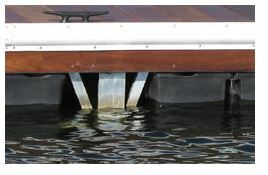 They are unique and practical because the dock can move with the water levels in the surrounding environment, making them well suited for areas with constant water level changes. If your dock houses boats, you know that the distance off the water to the top of the boat will always be the same no matter the water level. Their counterpart, the stationary dock is supported by pilings or legs which do not allow for fluctuation in the water; hence they are fixed. Though the legs can be manually re-adjusted at different levels, it is limited to their length. Budget – how much are you willing to spend on maintaining your dock? Surface conditions of the water – heavy boat traffic? Storms? Water level fluctuation – does the water level frequently change? Can the dock be permanent, or should it be removable? The water depth of where the dock will be placed. Installation – how will it be installed? 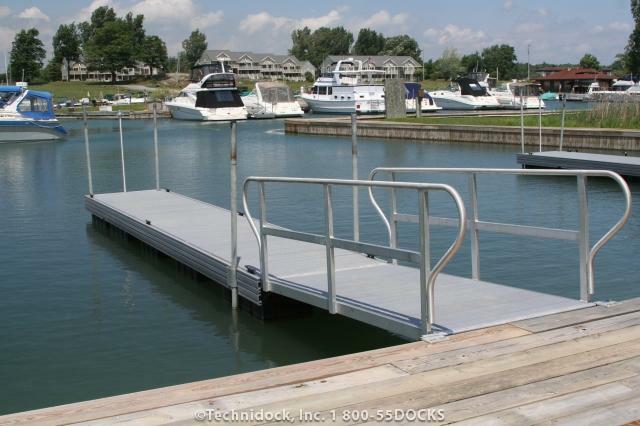 Though we offer many varieties of docks at Technidock, one of our key products is the aluminum floating dock. There are many advantages to constructing the floating docks out of aluminum. It is lightweight and requires no maintenance and the fact that it does not rust, rot, or decay speaks to its longevity, therefore keeping future costs to a minimum. If you ask us what makes our docks such high quality, the answer is because they are 100% welded. Welding cuts down on the use of bolts and other connectors thus eliminating the need to replace those parts. We get a lot of questions here at the office about our floating docks and have found that there are many misconceptions regarding them. One thing we frequently run across is the fact that many believe it is a simple process to turn a stationary dock into a floating dock. That is not the case. There is much more to it! Stationary docks are typically very narrow. If the dock is going straight out, you will need a broader section to help with the stability. If you intend to go off the sides of the floating dock with sections, then the central section can be narrower. Another misconception is that the floating dock can be stabilized with pipes on each side of the dock. However, that doesn’t work well either. Pipes are used to hold the docks in place. The pipe holders are only designed to stop the dock from floating away. You do not want to restrict the pipe with pipe holders, otherwise it could get hung up and bind the dock. If you have questions or we can help you with this decision process in any way, please feel free to contact us. We take pride in all the products we manufacture here at Technidock. Our engineering and welding practices are performed for strength and longevity to give you a product that stands the test of time. 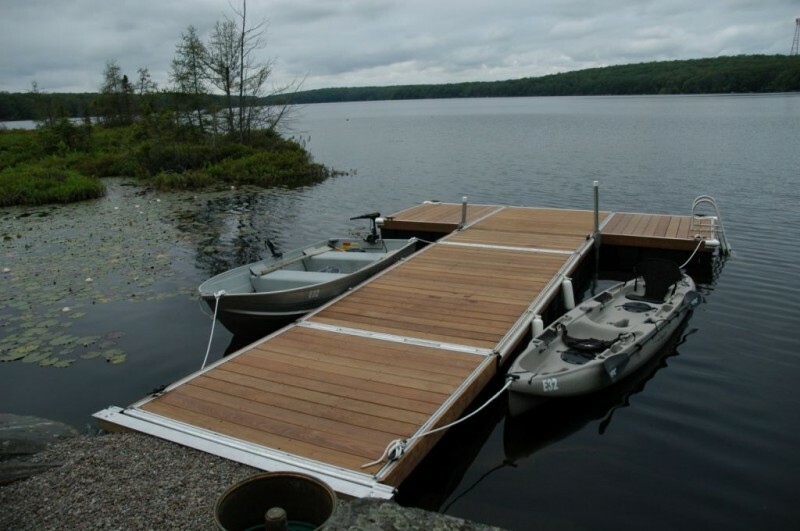 Floating docks typically go in the water each spring, and come out of the water each autumn. When temperatures in an area drop below freezing, ice forms on lakes, rivers and other bodies of water. Ice can damage floating docks, so it makes sense to remove the docks before the brutally cold weather comes. If you have a floating dock, the first thing to do in preparation for its removal is to take off all accessories and put them in storage. For instance, if you have chairs, tables, or decorations on the dock, remove them first before dealing with the dock itself. Next, temporarily tie your dock to the shoreline. Wherever you have chain anchors, pull them out one by one. If the anchors are exceptionally heavy, and it’s easier to leave them in the water for next season, attach a buoy to each one—that way you’ll be able to find them easily next spring. If you use pole anchors, detach the pole connectors from the dock, sliding them off. The poles can then be pulled out of place and stored for the winter. The gangway can be detached from the dock on just one side (leaving it out for the winter), or completely. After that, dock pieces can be taken apart and brought to shore for storage. Ideally, it’s best to start from the waterside and work your way back to the shoreline. It would helpful to convince some buddies to be involved in the process to make it easier—and more fun. Depending on your approach to dock removal, you can detach them piece-by-piece or leave some connected and haul them away. If you get a couple people to help, it’s probably easier to take them away connected, rather than spending the time to detach each one. Some people use their boat trailers to take the dock pieces out of the water. You can float the dock on top of the submerged trailer, tie the dock onto the trailer, and pull it out, rather than having several men do heavy lifting. After the dock pieces and accessories are on shore, find a good spot to store them. If you have room in a garage, that’s great. If you want to leave them outside, store the dock face up. In the spring, you can power wash the dock before putting it back in the water so it will look clean and fresh. Hot dipped galvanized hardware is renowned for its superior coating, and for being incredibly reliable. Galvanizing hardware offers many advantages, which is why TechniDock has our connectors undergo the process. The thorough process combines connectors with molten zinc in a high temperature container. Below is a list of three advantages of using hot dipped galvanized hardware. The coating of hot dipped galvanized hardware offers an unmatched level of corrosion protection, extending the life of the tabs, while also making your platform more durable. By undergoing the galvanizing process, the pieces will be less susceptible to rust buildup. The galvanizing process is weather resistant, ensuring owners will not need to worry about their hardware being adversely affected by inclement weather. TechniDock has two types of connectors, the Male (1 Tab) and our Female (2 Tabs) that undergo the galvanizing process. Comparatively, our male connector is ¾’’, while our competitor’s male connectors are ½’’. Our connectors are simply more reliable, durable and of higher quality. Utilizing superior hardware can extend the life of your dock, and prevent you from having to perform continual maintenance. If you have any questions, or would like to learn more about the benefits of our connectors, please contact us at your convenience. Boat docks need to float, and they need to last. Ace Floats are the top-of-the-line produced floating drums for docks. The Ace floats we use and sell have a minimum wall thickness of .125”, meaning they’re thicker than the competition, which ultimately leads to a longer lasting product. Ace Floats is currently the only manufacturer that offers that. That’s just the minimum; the nominal is .15”. Don’t choose a cheaper product. Over time, a lesser product will deteriorate over time and need a premature replacement and therefore, cost a lot more to replace. The floatation is the foundation of your dock. If the foundation goes bad, the dock will fail. To prevent leakage and separation caused by weak joints, Ace Floats are smartly designed with a one-piece seamless shell plastic design. Nothing gets past the drum wall, made of virgin polyethylene with ultraviolet inhibitors. The water can be filled with oil, gas, fish, salt and more, and Ace Floats will be protected from all of them, so dock owners don’t have to worry about problems with their floats. With their flat top shell design, Ace Floats attach easily to any dock frame. They come with molded-in mounting slots. Inside the drum, the floats are filled with void-free expanded polystyrene foam, steam pressured for a snug fit. Even if the outside shell becomes punctured, Ace Floats won’t crack or shatter. In fact, the foam interior will keep the unit floating. Ace Floats pass the Falling Dart Impact Test, even when tested in -20°F testing temperatures, validating that virgin grade resin is being used, and the molding process has been properly completed. They also pass the 7-Day Hunt Water Absorption Test, and meet or exceed the test standard of 3 lbs. per cubic foot. And, for good measure, Ace Floats also meet or exceed the US Army Corp of Engineers standards under Regulation 33CFR Part 327.30. Den Hartog Industries manufactures Ace Floats. Original owners receive a 15-year Float Drum Warranty. If you’re interested in learning more, or purchasing Ace Floats for your boat dock(s), call TechniDock Inc. today at 1-800-55-DOCKS. Many of the docks we manufacture and sell are made of marine grade aluminum, but what exactly does that mean and why do we use it? Marine grade aluminum alloy is a type of metal perfect for marina settings. The most common semi-fabricated aluminum products fall in the 5000-6000 series of the aluminum series. Although the 5000 series is considered a marine allow, it is much softer than the 6000 series. They have interesting mechanical characteristics, which allow them to be deformed at low temperatures and the best part, they resist corrosion. Not surprisingly, salt water and sea air found in the marine environments attack metals, wood, plastic and brick. In order to prevent corrosion, a marine grade aluminum alloy was developed to resist these factors. Another type of corrosion, galvanic, is very common in marine environments. It occurs when two (or more) dissimilar metals are brought into electrical contact under water. The use of stainless steel nuts and bolts and aluminum alloy together can create a galvanic corrosion, however, because the ratio of steel to aluminum is so small, the result is virtually none. If the ratio was reversed, the result would be very different. This relatively light metal can be formed into shapes with higher moments of inertia than its heavier counterparts like steel, although the 6000 series is a little more difficult to form, so we primarily use extrusions for the construction. They’re built to withstand heavier weight loads for many years. Using aluminum alloy allows us to create gangways, docks and ramps with superior loading capacity. They come totally maintenance free, allowing you to spend less time repairing, reinforcing or cleaning, and more time on your boat or dock. Because of aluminum’s extreme lightweight, aluminum boat docks and gangways are easier to move. For installation or relocation, aluminum is 1/3 the weight of steel, allowing you to expend less time and energy when you need to make move it. Every boat owner needs a dock, and marine grade aluminum alloy has some of the biggest advantages compared to other materials. Floating Docks: How Do You Know If They’re Right For You? When you’re in the market for a new dock, you may realize that there are quite a few options lying in front of you. While many folks browse through all that is being offered, there may be one key factor that isn’t even being considered, but in the end, it can make all the difference. 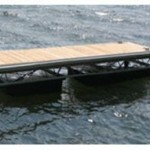 Below the surface, the water floor holds a lot of information on which type of dock is ideal for you. For instance, it would be best to choose a floating dock if you live in a region where the lake bottom is particularly soft and mucky. Sure, you could use a different type of dock, such as the wheeled docks we’ve previously talked about, but chances are you’re never going to get it out again. A floating dock will float in place, eliminating the risk of any sort of sticky situation when it comes time to move to dry land. Since we northerners live in a region that experiences cold winter temperatures and harsh conditions, it’s very important that you choose the dock that is going to make the easiest transfer when the time comes. Take note of you’re working with and be sure to do a little bit of research. If you have any questions, be sure to contact the TechniDock Inc. experts today. We’d be more than happy to go over your options with you. Assessing the Damage After Hurricane Sandy! Thankful we can say the worst is over for those of us who got to feel the wrath of Hurricane Sandy on the East Coast this week. Now the important thing for us to do is take a look around us and assess the damage. Did your floating dock survive or did it fall victim to Frankenstorm? For those of you who didn’t end up on the lucky end of things, right now is a good time to start looking into making repairs and replacements. You don’t want to put if off and then have to wait around for parts to come in during the summertime when you’d much rather get outside and on the water as soon as possible. 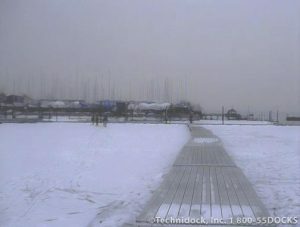 For those of you who would prefer to rebuild on your own, TechniDock Inc. has a wide selection of dock building hardware, cleats, fasteners and more. Feel free to browse through the “Parts” page of our website and see if you can find the right pieces for your situation! TechniDock also has over 60 different sizes of the industry’s premier float drums that are designed to last many years to come. If however, you’ve purchased insurance for your dock and suffered more damage than a few replacement parts can fix, we’ve still got you covered. TechniDock has plenty of turnkey products that to get you up and running again right away! For more information on dock building hardware and turnkey services, contact us here at TechniDock Inc. Hurricane Sandy managed to turn many of our lives upside down for a week but don’t let her damage linger! Take care of your floating dock repair and replacement needs today! If you’ve chosen to build a dock that does not connect to land, it’s obvious that you’re going to need something that allows you to come and go between the two. While there are a number of options to consider, keep in mind that TechniDock Inc. specializes in the manufacturing of premium Aluminum Gangways. Made of marine-grade aluminum, these particular gangways have an exceptionally long lifespan and are of the highest quality available. Built for both residential and commercial application, you can be sure that our Aluminum Gangways are tough enough to provide superior loading capacity for years to come. Now while these gangways are extremely durable, rest easy knowing that they are also lightweight and maintenance-free – liberating you from possible headaches in the future. We have a range of different pricing options available, varying on the specifications and needs of your Aluminum Gangway. Give us a call today and we will work closely with you to create the perfect gangway for your dock. By choosing TechniDock Inc., you are investing in the finest manufactured gangways on the market! When you set out to purchase a boat dock, you have to consider the quality of the material. Regardless if you’re buying for private, public or commercial reasons, you’re bound to have a decent amount of traffic coming on and off that dock. You need to ensure that it is stable enough to endure any and all conditions. Based in the Speculator, NY area, TechniDock Inc. distributes the finest line of maintenance free Steel Truss Boat Docks – which are known for their superior durability. The weather can be unpredictable at times and when it takes a turn for the worse, any body of water can become choppy and dangerous. In situations such as this, ordinary docking systems can give under the pressure, shaking and wobbling along with the waves. A Steel Truss Boat Dock is the perfect solution to this problem. Completely welded and then hot dipped galvanized after fabrication, its strong frame is solid enough to handle the ever changing level of water fluctuation and provides a safe platform for everyone. With this sturdy foundation and the variety of free board and floatation options available with TechniDock, we’re sure that we can provide you with something to cover you in both the safety and style department. Contact us today to see what we can do for you!